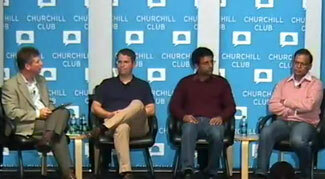 On last Wednesday, Danny Sullivan interviewed Google's Matt Cutts, Amit Singhal, and Ben Gomes of Google. Singhal oversees the ranking algorithm, how Google decides what content should be shown in response to a search. Gomes oversees the features that help you search better, as well as the user interface "look" that lets you interact with Google search. Cutts is the bouncer, the chief of police, the person in charge of keeping the people who would spam and bring disorder to Google's results under control. Danny Sullivan has a recap here and AJ Kohn has a recap here. Matt Cutts also posted this at Google + where there is a ton of comments and discussion around the interview. Honestly, I have not had time to watch it all yet - I hope to be able to soon. Forum discussions at Google +.